The year is 1868, and Sherlock Holmes is fourteen. His life is that of a perfectly ordinary army officer’s son: boarding school, good manners, a classical education – the backbone of the British Empire. But all that is about to change. With his father suddenly posted to India, and his mother mysteriously ‘unwell’, Sherlock is sent to stay with his eccentric uncle and aunt in their vast house in Hampshire. So begins a summer that leads Sherlock to uncover his first murder, a kidnap, corruption and a brilliantly sinister villain of exquisitely malign intent . 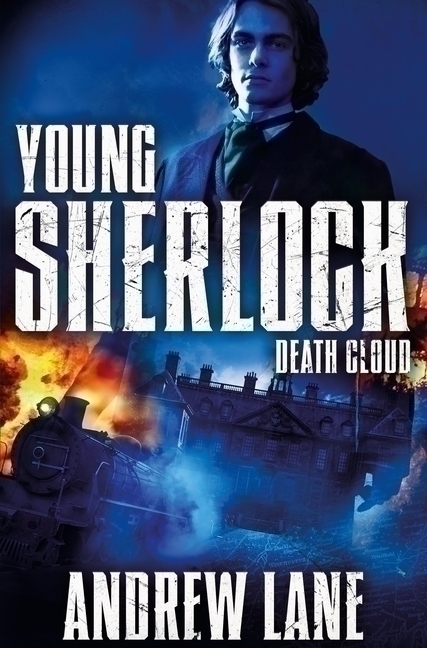 . .
Death Cloud is the first in a series of novels in which the iconic detective is reimagined as a brilliant, troubled and engaging teenager – creating unputdownable detective adventures that remain true to the spirit of the original books. This is a clever book that is full of suspense...His fearless journey is full of action and does not fail to amaze me in a way that only the incredible creation that is Sherlock Holmes can.' 'This book is so good that you simply will not put it down. It is Sherlock Holmes made more easier to understand and to be enjoyed by teenagers. A thrilling mystery, perfect for anyone who likes solving crimes...A great introduction to the worlds most famous detective. Fabulously written, a perfect homage to Conan Doyle and a great introduction to Holmes for younger readers.